AMENO, is an organization founded in 1987. It is a network that consists of educators, community members and parents in Ontario. AMENO promotes anti-racist education, and works towards eliminating “broad-based and systematic biases”. AMENO seeks to promote “acceptance and inclusion” for everyone. The organization recognizes that equity is yet to be achieved, and that students need to be made aware of the past to understand how it affects their future. 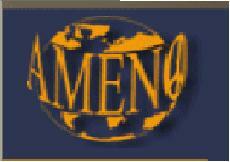 For more information on AMENO and their work visit http://www.ameno.ca/.